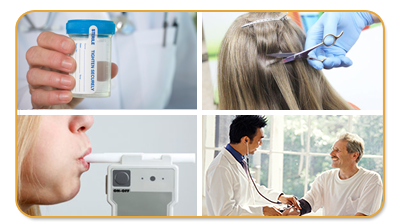 Testing & Examination Centers In All Cities Nationwide, Call - (800) 219-7161 ¡Hablamos Español! 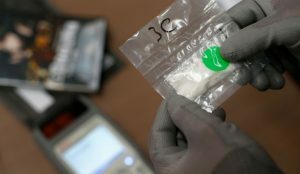 The U.S. Drug Enforcement Administration (DEA) said it had temporarily categorized a synthetic opioid nicknamed “pink” as a dangerous drug, after receiving at least 46 reports of deaths associated with its use. There is a huge epidemic in the U.S. with regards to the abuse of opioids – a class of drugs that includes heroin and prescription painkillers. The Centers for Disease Control and Prevention estimates that 78 Americans die every day from opioid overdose. “Pink”, known to chemists as U-47700, comes from a strain of deadly synthetic opioids that are far more potent than heroin, and is usually imported to the United States mainly from China. This drug gets its name from the pink-purple hue that comes from the way it is cut or processed. The DEA said it had temporarily categorized U-47700 as a “Schedule 1” substance, effective Nov. 14, classifying it as a dangerous addictive drug with no medicinal use, placing it on par with heroin, cannabis and LSD. The classification of “Pink” as a schedule I will last for two years, with a possibility of a longer extension if the DEA requires more data to determine whether it should be permanently scheduled. Reports indicate that of the 46 fatalities, 31 occurred in New York and 10 in North Carolina of cases reporting between Oct. 2015 and Sept. 2016. Schedule your test below and receive your test registration/donor pass via email and proceed directly to the testing center. The Test Registration / Donor pass will be e-mailed to you, take this form with you to the testing center. Please note the test registration email may be in your Spam or Junk folder. The Test Registration / Donor pass may also be provided by smartphone at the testing center. No appointment is necessary, however a test registration is required. Testing centers do not accept any form of payment, payment must be received at time of registration. Issued test registration / Donor passes are non-refundable. *All information is confidential and secure. The Zip code you have entered will be used to locate the closest testing center to you. Email to receive the confidential test results. Health Screenings USA provides secure and safe processing of your order using Authorize.net Secure Checkout.